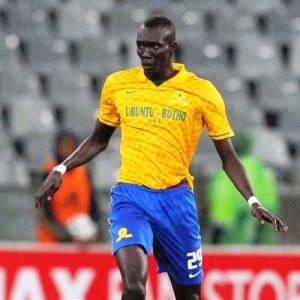 Cape Town - Towering Senegalese striker Mame Niang believes that TP Mazembe will be the toughest test of the season for Mamelodi Sundowns. ‘Long Weekend’ as the player is affectionately known says the Congolese giants will be one of the tougher tests for the Absa Premiership champions. “TP Mazembe will be one of our toughest tests this season and very crucial for us in the Champions League” says the lanky forward. The 31 year old believes that the home match will be the most crucial for The Brazilians because of the hostile conditions his side may face in the return match in the DR Congo. Niang is one of the Sundowns players with more experience in continental competitions, having played in the Champions League for Senegalese side ASC Diaraf back in 2004 as a 19 year old and later with Supersport United in the Confederation Cup back in 2014. The match against the four time Champions League champions and FIFA Club World Cup runners up is set to take place at Loftus Stadium.